The next generation of console wars has begun! If you look at numbers from the previous console war, Nintendo won. It was able to sell over 100 million Wii consoles. This is, of course, compared to the PS3 that sold 80 million and the Xbox 360 that sold 79 million. Now, let’s take a look and see how the Xbox One, PS4 and Wii U are doing. The Wii U had a one year head start and is currently in the lead. That being said, the Wii U did not have a great start and does not have a very big lead on the PS4 and Xbox One systems that just came out. Although sales for the Wii U have been starting to pick up, most experts expect the Xbox One and PS4 to pass Wii U sales soon. That is, unless games like “Mario Kart 8” and “Super Smash Bros” can really push Wii U sales. Based on official numbers, the Wii U currently controls 63 percent of the market because it has sold 4,092,000 units. The Xbox One is just barely in second place with 1,186,000 units sold. This is followed by the PS4 that sold 1,165,000 units. That being said, the PS4 and Xbox One are sold out. If the companies had more systems out, they may have been able to pass the Wii U numbers within the first month of their launches because of how much hype they had. That being said, Sony has recently claimed that its new sales for the PS4 sit at 2,100,000 million. These sales are based on the number of units sold in 32 markets. Unfortunately, Microsoft has been very secretive about how many units it has sold. However, it is believed that the PS4 has outsold the Xbox One so far. That is to be expected since the Xbox One has only launched in 13 markets. Instead of revealing figures, the Xbox One released “gamer stats.” They did this by saying that people have already killed 3 billion zombies while playing “Dead Rising 3.” Players have also driven more than 90 million miles while playing “Forza 5.” The overall Gamerscore on the Xbox Live network is over 400 million. Although these stats are impressive, they really tell us nothing about how many consoles it has sold. The handheld market, on the other hand, is firmly controlled by Nintendo without question. The 3DS has a death grip on 85.4 percent of the handheld market. Stats show that 37,841,000 3DS systems have been sold so far. The Sony Vita only has 14.6 percent of the market. Sales figures for the Vita sit at 6,470,000. As you can see, the next console war is fully underway. The struggling Wii U is in first place right now but only because of its one-year lead. It should not take long for the Xbox One and PS4 to catch up. 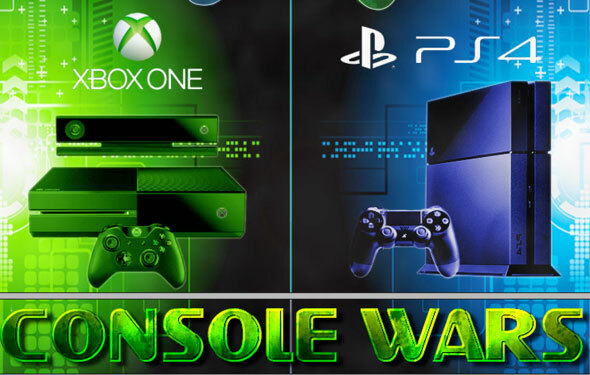 Who will win this console war?